Vaping is now one of the coolest ways to smoke weed. For any of those marijuana enthusiasts out there who have ventured into the world of vaping, you might already know the ways in which it differs to smoking. The health benefits are just few of many reasons why you might want to make the switch to vaping. For most cannabis users, the best thing about vaping is that it gives you a strong hit without using so much of your weed. In fact, you can stay high all day using half the amount of weed you usually would smoking joints all day. I think this is the main reason that these days, many prefer to vape. And let’s be honest – if you like to be high all day, inhaling carcinogenic material into your lungs can cause some grief after a while. When you vape, you avoid all of that icky stuff because you’re only inhaling water vapor. So don’t go running out into world of vaporizers until you’ve read our suggestions about the best ones to choose. There are a lot of vaping products out there, and you can end up wasting a lot of time and money searching for the right one. So we have made things a little bit easier for you by summing up the 3 best marijuana vaporizers of 2017! This year, Grenco Science released the G Pen Pro dry herb vaporizer. It’s perfect for those who don’t want to give up smoking herbal material just because they switched to vaping (which is a sacrifice some must make, unfortunately). For less than $100 US, you can have this chic looking vape pen that is even loaded with a couple of functions. They also announced the G Pen Gio, which is expected to be release in November. If you’re a first time vaper, or just really prefer simplicity, this one is a winner. It is totally easy to use, with three different temperature settings: blue for low, green for medium and red for high. The ceramic oven heats up the herb evenly all around so that you don’t end up wasting any material. It’s really simple to use the G Pen Pro: just load it up and pack it with the tool that comes included in the pack, turn it on and start puffing away. It fits neatly in your pocket or bag. Doesn’t get much more complicated than that! More of a tech nerd? Then you might be more into the Davinci IQ. It is a bit more expensive than the G Pen, costin $274.99 if you buy directly from Davinci. It comes loaded with some hi-tech features and some design components that ensure a smooth, thick and aromatic smoke. The most special part of the Davinici IQ is the Zirconia mouthpiece. For those who don’t know, zirconia is a very durable material that is heavy and extremely heat resistant. It gives the person vaping an opportunity to draw in heavy lungfuls without so much pull resistance. You get two in the box. There is a complete temperature control setting on it, but for those who are lazy there are three predetermined heat settings you can use. There is a smartphone app that you can download and link to your vaporizer so that you can control the settings from your phone! Oh, and there is a very special zirconia chamber that means you don’t have to lose any of the flavor or aroma of your weed. Pack it with dry herb and enjoy a very potent vaporizing experience! 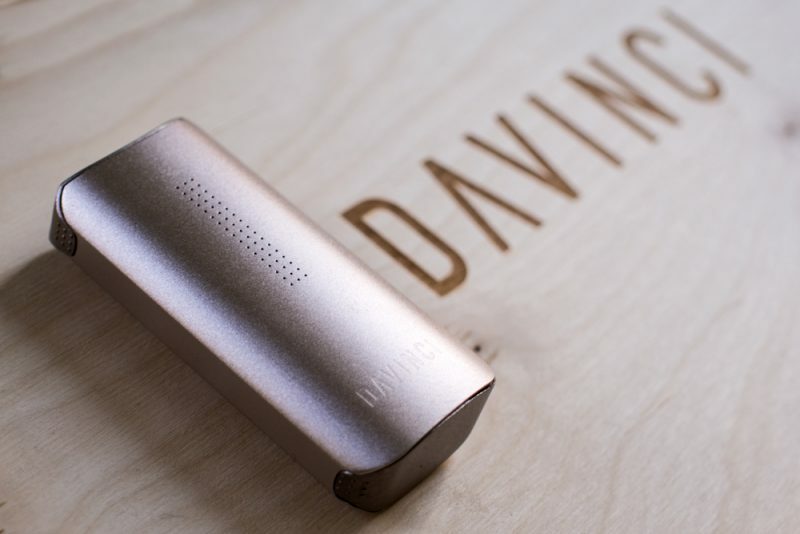 Err, have we hit the jackpot of portable vaporizers? The PAX 3 is tiny and comes witch features that are completely unmatched in the world of vaporizers. All of a sudden, you don’t even have to choose between a dry herb or concentrate vaporizer. You can have it all in the PAX 3. Other than being tiny and stylish, this vaporizer comes with a concentrate insert. It means if you want to vape some dabbing oil, remove the chamber for dry herb and insert the chamber for concentrates. It’s that easy. While other vapes take around 20-30 seconds to heat up, the PAX heats up in just 15 seconds. It has a full LED display allowing you to choose the exact temperature for vaping. It also boasts a haptic feedback system, meaning a vibrating vaporizer will tell you when it’s adequately hot for vaping. Like the Davinci, it is also capable of communicating with your smartphone via an app or via bluetooth. We have officially reached the future of intelligent vaping. You can own one of these badass vapes for less than $200 buying directly from PAX! 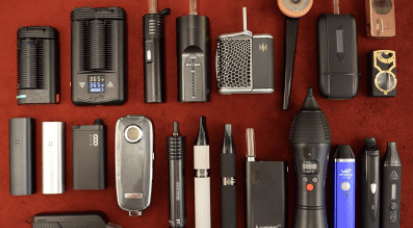 The post 3 Best Vaporizers of 2017 appeared first on TheJointBlog. PreviousCalifornia cannabis growers are assessing the damages. After the shock, resignation.